A bad second period cost the Dauphin Kings a second point Tuesday night in a 4-3 shootout loss to the OCN Blizzard. Dauphin played a very good first period and saw Tyler Derkach (3) pick up the lone goal of the frame off a rebound on a Daniel Chartrand breakaway. In the second period the Kings came out strong, taking the lead off a Trevor Kavanaugh (11) Power Play goal. After that Dauphin seemed to fall asleep, giving up three unanswered and falling behind 3-2 after 40 minutes. The third period saw the Kings play much better, and eventually they tied things up at three on a Kirklan Lycar (24) Power Play tally. The two teams then exchanged chances later in the third and in overtime. Brady Keeper had the lone goal in the shootout to lift the Blizzard to the win. Dauphin’s Power Play continues to be excellent on the road. Tuesday it was 2 for 3 and in its last two road games it’s 5 for 6. The Kings were 1 for 1 on the Penalty Kill in OCN. Jarrod Schamerhorn (10-11) took the loss in goal, turning aside 43 of 46 shots. The Kings fired 45 on the OCN net. It’s the fifth straight game Dauphin has earned at least a point, but single points are not awarded in the playoffs. The Kings are now 20-33-6 on the season and will close out the campaign Wednesday night in OCN. Game time on CKDM is 7:00pm! The Kirklan Lycar is on a 5 game point streak (4G, 3A). Landon Plett is on a 5 game point streak (2G, 4A). Sam Schultz is on a 4 game point streak (0G, 6A). Tyler Garrioch is on a 2 game point streak (1G, 3A). Kelby Picard is on a 2 game point streak (1G, 1A). The Dauphin Kings have two games left in their season and they are both in OCN and on back-to-back night’s, starting this evening. If you looked at the start of the campaign you may have circled these two games as ones that could of had a lot of meaning when it comes to the MJHL standings. Don’t worry, you’re not alone, I would have circled them too. However that’s not the case. These two games between Dauphin and OCN are not very meaningful. Even though OCN hasn’t clinched sixth place yet, they’re likely going to. They only need Selkirk to lose once over the next three games (Winkler, Steinbach & OCN) and that’s likely going to happen. 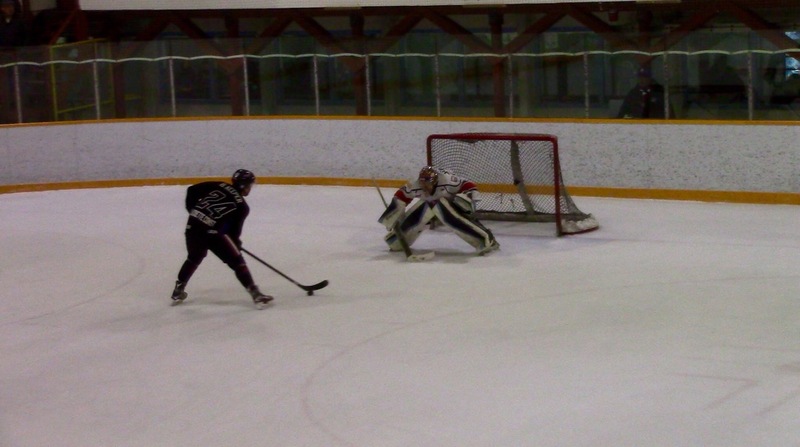 Or OCN can snag a point in one of their three final games of the season (Dauphin, Dauphin & Selkirk). For the Dauphin Kings, we’ve known for about a week now that they’re not going anywhere when it comes to the standings. The club will finish ninth place and face the eighth seeded team in the survivor series which begins Sunday. That question has yet to be answered. It’s still unclear who Dauphin could play, but it’s now down to two teams. It’ll either be the Selkirk Steelers or Swan Valley Stampeders. Last week OCN was still a possibility, but not anymore. We’ll have lots to talk about on tonight’s broadcast, so make sure you tune in on 730CKDM and 730CKDM.com. I have a phone, so if you’t listen to the game then you can follow me on Twitter (@ChristianCKDM) for updates! Intermissions: Tonight in the first intermission it’s the latest edition of RAPID FIRE. This one’s with D-man Brandon Young, he’ll get 60 seconds to try and answer 20 questions. Throughout the evening we’re gonna check in on the out of town scoreboard. There are four other games in the MJHL tonight, the only team not playing are the Swan Valley Stampeders. Games have Selkirk in Winkler, Wayway home to Portage, Winnipeg entertains Neepawa and Virden battles Steinbach. Also this evening is game two of the Westman High School Hockey League Championship Series between Dauphin and Vincent Massey at Credit Union Place. We’ll update you on that plus eight games in the NHL including the Winnipeg Jets home to the Florida Panthers. So listen for all that and more in the intermissions tonight. Kings 20-33-5 (9th): Keeping consistency continues to be key for the Dauphin Kings as the club plays their second to last game of the season tonight. Dauphin has been very good as of late, are currently on a four game point streak and have won two of their last three. Results over the next two days do not matter, but if the Kings can play well and execute their game plans then they will feel good about themselves heading into the playoffs. Dauphin’s Power Play enters this game at 16.41% which is 9th in the MJHL. An interesting stat is Dauphin’s Power Play on the road. It enters this game 4th in the league at 21.77%. On the Penalty Kill side Dauphin is also 9th overall at 74.74%, on the road they’re also 9th at 73.68%. MJHL Player of the Week Kirklan Lycar (23G, 30A) leads the Kings in points with 53. The Kirklan Lycar is on a 4 game point streak (3G, 3A). Landon Plett is on a 4 game point streak (2G, 3A). Stephen Sisco is on a 3 game point streak (2G, 2A). Sam Schultz is on a 3 game point streak (0G, 5A). Hayden Pierce is on a 2 game point streak (0G, 2A). Blizzard 26-28-3 (6th): The OCN Blizzard enter this contest needing just a single point to clinch sixth in the standings. They could also clinch if Selkirk loses in Winkler. Regardless, I think OCN is the unofficial ‘dark horse’ for the Manitoba Junior Hockey League playoffs. I think a couple of the top teams in the league are scared of them and the type of game they can play if they’re on point. If OCN matches up with Winkler I would take the Blizzard in six considering their excellent record at home and the fact that they could grab a game or two on the road. Plus there’s no pressure on them whatsoever. The Blizzard will need to work a little on their Power Play heading into the post season, they’re ranked 8th (16.48%) coming into tonight’s game while their Penalty Kill is solid at 82.29% which is good enough for 5th. Unless he gets 15 points over the next three games Logan Harland (39G, 54A) is likely going to finish second in MJHL scoring, he leads the Blizzard with 93 points. OCN is 18-9-0 at home this season. The Dauphin Kings will head out on the road for their final two games of the regular season this week. Before we get to that let’s talk about what happened last week. In case you missed it the Kings had three games last week. They won two of three, taking out the Swan Valley Stampeders 7-3 and then skating past the Neepawa Natives 5-2 on Sunday. 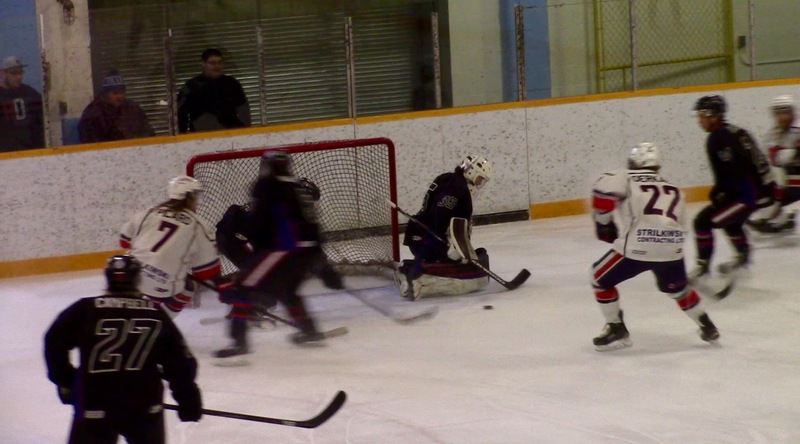 Sandwiched in between that Dauphin dropped a 4-3 overtime decision to the Steinbach Pistons on Friday. The results mean the Kings are currently on a four game point streak. The club is showing a bit more consistency than they had earlier in the season, a good sign considering the time of year. On Tuesday and Wednesday this week Dauphin is in OCN to take on the Blizzard. For both teams the games are pretty much meaningless when it comes to the MJHL standings. According to the tie breaking procedure the OCN Blizzard just need a single point or a Selkirk loss (In their next 3) to lock up sixth place. The Kings, meanwhile, won’t move anywhere. They’re secured in ninth place. Dauphin still doesn’t know who they’ll play in their survivor series, but that could be decided by the end of Tuesday night, or it might take until Saturday. Listen to the games Tuesday and Wednesday on 730 CKDM. The Parkland Source for Sports Pre Game Show begins at 6:45pm both nights with opening face off at 7:00pm. Landon Plett’s pace continues to be a strong one for the Dauphin Kings as the season winds down. He potted four points (2G, 2A) last week for the Kings and is riding a four game point streak (2G, 3A). The Blumenort product has points in six of his last seven contests and currently sits third on Dauphin in scoring with 37 points (16G, 21A). The Kirklan Lycar remains on cruise control coming into this week. The 18 year old is currently riding a four game point streak (3G, 3A). Lycar had seven points (2G, 5A) in Dauphin’s three games last week and will look to keep rolling in OCN this week. The former Eastman Select (23G, 30A) is the top scorer on the Kings with 53 points. Last season he had 26 points (19G, 7A). Dauphin’s Captain scored five points in the Kings’ first game this past week. He snagged one goal and four assists in Dauphin’s win over Swan Valley and then picked up a goal and an assist in the Kings’ 5-2 win over Neepawa on Sunday. Garrioch also grabbed five awards for the Kings when the end of season winners were announced Sunday evening at Credit Union Place, including MVP. The Winnipeg product (15G, 35A) is currently second on Dauphin in scoring with 50 points. For the fourth time this season the Dauphin Kings and Neepawa Natives played in a game that finished at 5-2, this time it was the Kings coming away with the two points. 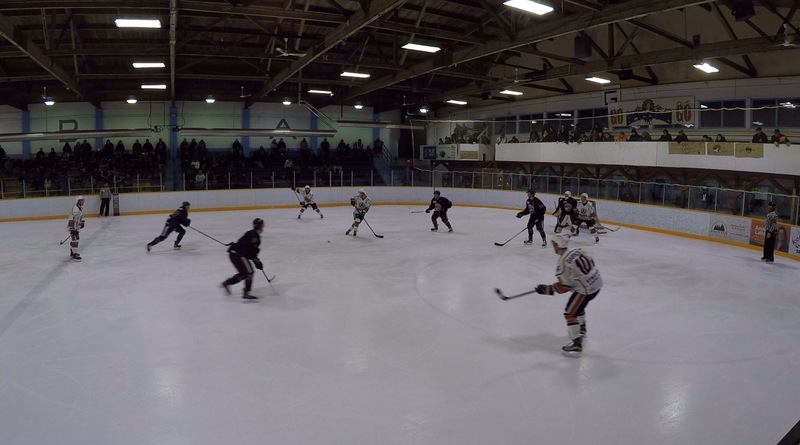 It was Dauphin’s final regular season home game and saw hosts scoring two in the opening period. The first tally came off the stick of Landon Plett (16), then Captain Tyler Garrioch (15) notched a Power Play marker two minutes later. Neepawa would respond late in the first, but Dauphin controlled the opening period for the most part. In the second period the Kings pulled away. Riese Gaber gave the fans something to talk about when he scored his second of the season. Then Stephen Sisco tallied a weird one for his seventh of the campaign to put Dauphin up 4-1 after 40. The final frame saw Kelby Picard (3) score the Kings lone goal to give the team a 5-1 advantage. Neepawa would add a goal in the late stages of the third but. The Kings finished the night 1 for 5 on the Power Play and 4 for 5 on the Penalty Kill. Brandon Holtby (9-28) grabbed the victory in goal, turning aside 25 of Neepawa 27 shots. The Kings had 32 on the Natives’ goal. This victory extends Dauphin’s point streak to four games. It doesn’t do much for them in the standings as they will remain in ninth place, but it does show the team is continuing to play well as the playoffs draw near. The Kings improve to 20-33-5 on the MJHL season. Now Dauphin gets set for two games in two nights in OCN this week. It begins Tuesday night at the GLMC. You can hear both contests on 730 CKDM, opening face off Tuesday and Wednesday is 7:00pm. Here are the 2015-16 Award Winners for the Dauphin Kings! The Dauphin Kings hosted the Neepawa Natives for their first regular season home game, and now they’ll entertain them for their last tonight at Credit Union Place. Since game one of the campaign things have changed a lot for both clubs. The first week of the season the Neepawa Natives were an Honourable Mention on the CJHL Top 20. Now the club is at the bottom of the league and has not made it to the playoffs since 2010. The Kings, meanwhile, are locked into ninth place in the standings and are waiting to find out their opponent for the survivor series which begins a week from tonight. Watch this evening’s affair on FASTHockey, opening face off is pegged for 7:00pm. If you can’t watch then follow me on Twitter (@ChristianCKDM) for updates! Tonight Dauphin will also hand out their year end awards. You can watch online to see who the winners are. If you can’t watch online then check my recap of this evening’s game for the results! Kings 18-33-5 (9th): The Dauphin Kings will try to extend their point streak tonight to four games. Despite losing two of their last three Dauphin has actually played quite well and that’s something nice to see with the playoffs just around the corner. Coming into this evening Dauphin’s Power Play is up to 16.33% which is 9th in the MJHL. Their Penalty Kill is also 9th at 74.74%. The battle for first in points continues for the Kings, Kirklan Lycar (23G, 28A) leads the way with 51 but Tyler Garrioch (14G, 34A) is just three back. The Kirklan Lycar is on a 3 game point streak (3G, 2A). Trevor Kavanaugh is on a 3 game point streak (3G, 1A). Landon Plett is on a 3 game point streak (1G, 3A). Stephen Sisco is on a 2 game point streak (1G, 1A). Sam Schultz is on a 2 game point streak (0G, 4A). Natives 12-43-2 (11th): Even though they’ll once again finish the regular season at the bottom of the Manitoba Junior Hockey League standings, the Neepawa Natives were in the playoff race for pretty much the entire season. The club was only recently mathematically eliminated from the post season picture with their 7-2 loss to Steinbach last night. Neepawa’s Special Teams sit in the basement of the MJHL. Their Power Play is moving along at 11.39% while their Penalty Kill is at 73.56%. Twenty year old forward Kyle McDonald (20G, 18A) is atop the Naties in scoring with 38 points. Follow this blog for FREE via email!